If there is one way to describe Sacramento residents, we are active. Outside of my passion for real estate here in the Sacramento Region, I’ve been obsessed with fitness since I was seventeen years old. I wasn’t raised athletically, I did not play sports in high school. However, at seventeen I had a boyfriend who worked nights cleaning a local grocery store. While he was doing that, I began spending time at a nearby gym, that was open all night. So, it began. I am going to drop a bomb here… Here at the Rachel Adam’s Group, our aim is not to sell you a house. Wait, what? I’m dead serious. It’s not. Our goal is to be your local resource, for life. What does that mean? It is way bigger than selling one house. In fact, it’s bigger than earning referrals to your friends and family (which is by far the highest compliment you can give me). To be your local resource means when you need to find a dentist, a hairdresser, a preschool or a painter- whatever you are looking for, we have connections. That is being a local resource. 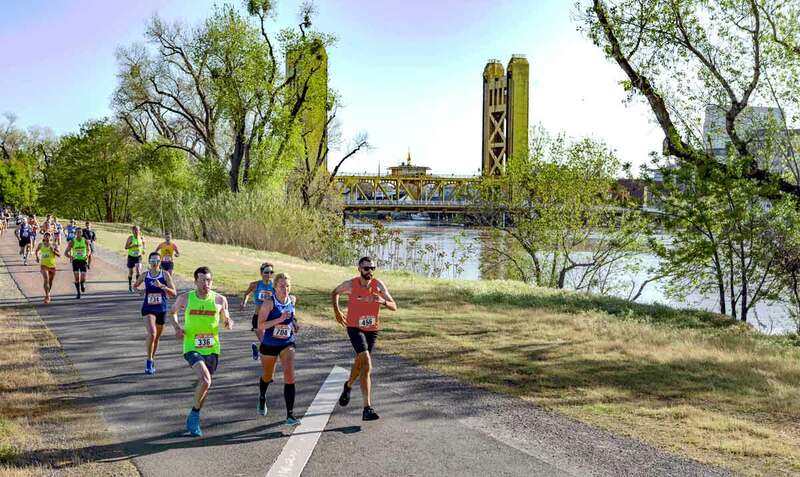 What I will be doing here, in my blog posts, is introducing you to gyms, personal trainers, studios and various local training and events- so you can stay fit in Sacramento! Today we are starting with the basics, picking a gym. 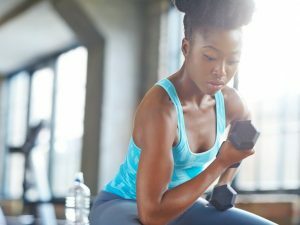 I spent time in 3 local gyms, interviewing staff, to bring you some helpful inside information, so you can get and stay active. The gyms I chose to share with you were recommendations, suggested to me by local friends, on Facebook. If you’d like to connect with me on Facebook, please shoot me a friend request. These are just three gyms, that friends of mine said they love. If you have local fitness-related resources, I’d love you to shoot me an email at ChristinaCayo@racheladamsgroup.com! Roseville’s Anytime Fitness especially appeals to young professionals. Each of these gyms varies dramatically. I choose these three, because they have a general focus, meaning they are not specialized to a specific style of training (I think we’ll go that direction next). So we’re going to start with Anytime Fitness in Roseville. They are located at 1850 Douglas Blvd, very close to the Interstate 80 on and off-ramp. Anytime Fitness could be referred to as anywhere fitness. They have 4,000 locations worldwide, 3000 in the United States. In our region, Anytime Fitness boasts 14 locations, your membership gives you access to all locations. With 24 hour access at any location, that takes away any excuse you might have, not to make it to the gym! Roseville’s Douglas location is a 5000 square foot facility. On top of having 13 regular group classes taught, they also have something called virtual training. You can pull up any virtual class, from hundreds, and do it right there in the studio with all the equipment available. 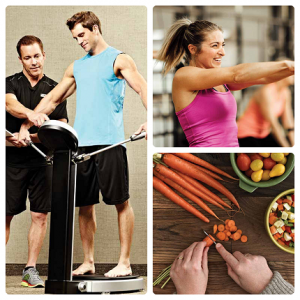 Anytime Fitness Roseville has a fulltime staff of nutritionists and 5 trainers with specific specialties, including one who works with injuries post physical therapy, and two that train members working towards bodybuilding and powerlifting competitions. Of course, the facility has areas designated for cardio, weight machines and free weights. The manager, Farhan, felt his gym was especially desirable to young professionals due to the location immediately off Interstate 80. The EDH Sports Club has a bit of everything. My personal gym, is The El Dorado Hills Sports Club, located in Town Center. It is part of a family of facilities, named Spare Time Sports Clubs. There are eight here in the Sacramento region. The only significant variations in these facilities are the types and number of sport courts available at each, as well as the El Dorado Hills location having Asante Spa and Radiant Yoga as part of their location. The EDH Sports club is 40,000 square feet and has 80 groups classes throughout the week as well as a separate pilates/barre & cycle studios. They, of course, have free weights and a large machine area as well as cardio areas both up and downstairs, plus a staff of trainers and nutritionists. It is also a very family friendly facility, with childcare for the young ones and a youth program for kids 11 and up. Many families, starting in spring, will enroll their children in swim lessons here, so they can get their work out in, while their kids are at lessons. What I notice that stands out about the EDH Sports Club is that it honestly doesn’t feel like a business. It is hard to describe, but it has become so much a part of our town, that it is much more than a gym. It’s a part of what makes El Dorado Hills, a community. Lifetime Fitness, a luxury athletic resort. I had never been in Lifetime Fitness before last week. There are a total of 140 locations, 137 in the United States, 3 in Canada. Here in the Sacramento region, we have two Lifetimes, one in Folsom and one in Roseville. Driving by, my gut reaction was that it just seemed like ‘too much’. Writing this article gave me the perfect excuse, to finally go check it out. My impression? Well, I must admit I was impressed. When they refer to it as a luxury athletic resort, that is a good assessment. The idea is that the entire family can go there for the day. As well as the most extensive fitness facility I have ever seen, they have a Kids Academy for kids up to 11 years old (not childcare) featuring classes in art, crafts, dance, sports, yoga, tennis, & gymnastics. There are four studios boasting 130 group classes including its own hot yoga and cycle studios. Among their 40 personal trainers are those specializing in pre and postnatal as well as cancer recovery. And of course, they have nutritionists of just about every specialty. Oh gosh, what else? Two indoor and two outdoor pools (one with easy access if you are in injury recovery), 14 tennis courts… ah that’s right, a restaurant and full spa including hair and nail services. Why would you ever leave? I know moving to a new area is overwhelming. If you are anything like me, establishing new routines quickly is essential. It is my hope that this article gives you a few options to explore, or that you might share it with a friend or family member who is planning to move to the area. Sacramento is by far the most active community I have ever lived in. Driving into the office, I pass scores of runners and bicyclists daily. We have miles of trails to explore, rivers, lakes. And yes there is a gym, crossfit or studio of some sort on just about every corner. That is just part of who we are! Please feel free to reach out to me for ideas or recommendations. It is my joy to help you get fit in Sacramento. Christina Cayo is a broker associate, working with The Rachel Adams Group. When not working real estate, Christina enjoys cooking and baking for her large family, playing with her kids, and reading while snuggling with her German Shepard. Christina has been obsessed with fitness since a very young age and loves to run, lift weights and do yoga. She can be reached at 916.354.5450 or ChristinaCayo@racheladamsgroup.com.